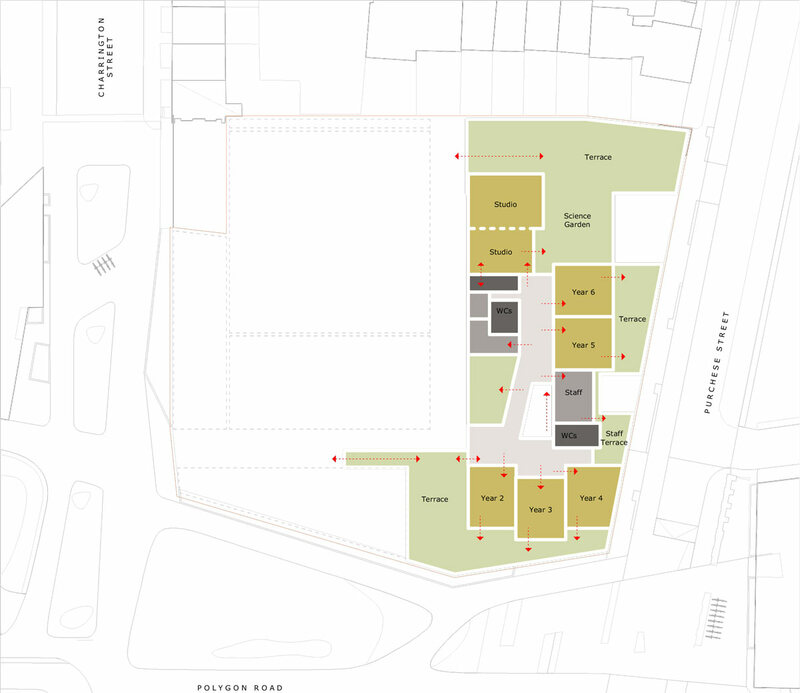 Edith Neville Primary School - Hayhurst and Co. Located between St. Pancras and Euston stations in central Somers Town, Edith Neville Primary School has been housed in sub-standard, temporary accommodation since it opened in 1972. 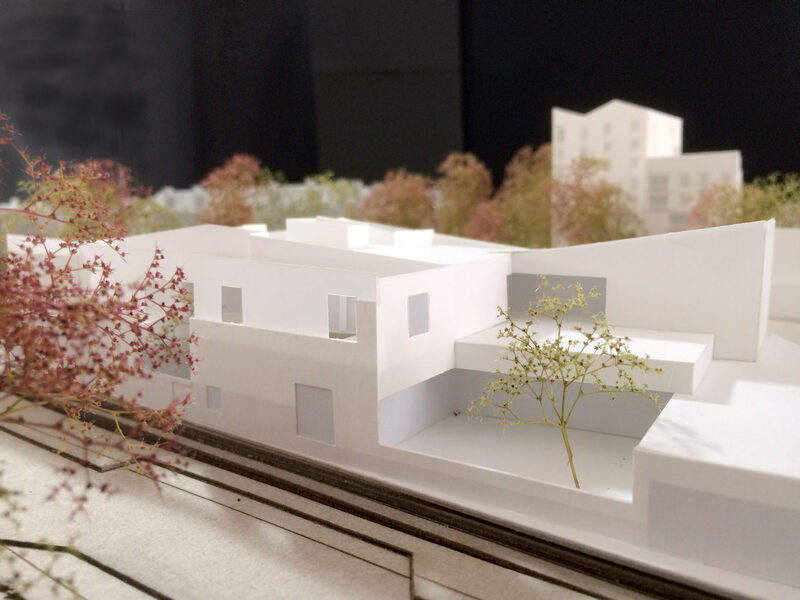 Following extensive consultation and a wider site masterplan, Hayhurst and Co. were appointed via an OJEU competitive process to work on the re-design of the school in 2014. 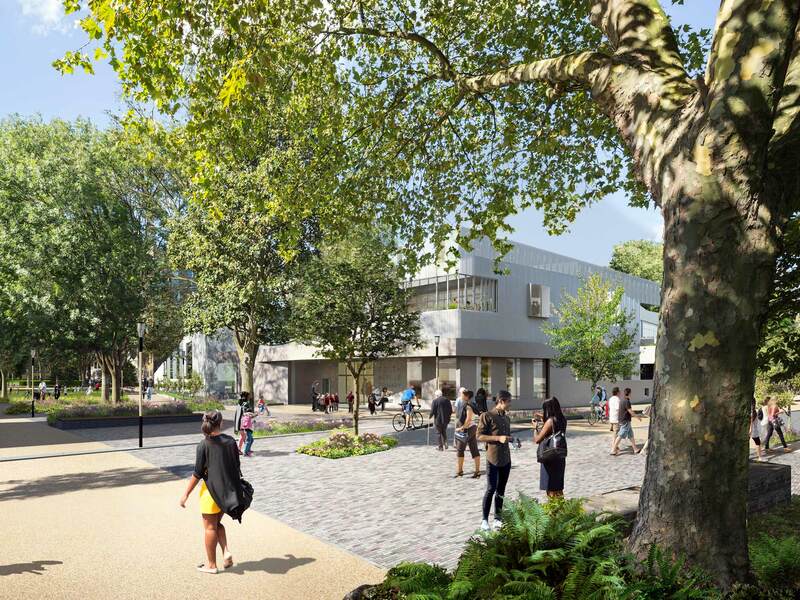 The re-building of the school, nursery and children’s centre forms the first phase of Camden’s new £89m mixed-use, regeneration scheme centred around a new public open spaces, community facilities and 130 new homes. 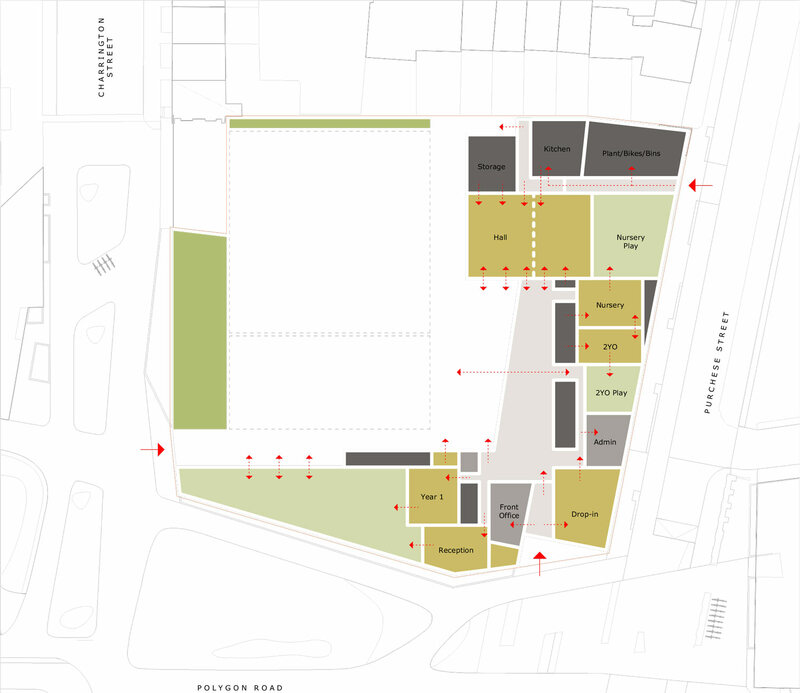 The scheme is part of Camden Council’s ‘Community Investment Programme’ (CIP) which seeks to maximise the maximise the benefit of the council’s own resources. We worked collaboratively with the school community and local authority to develop a ‘manifesto’ that set out the key objectives for the new educational environments. 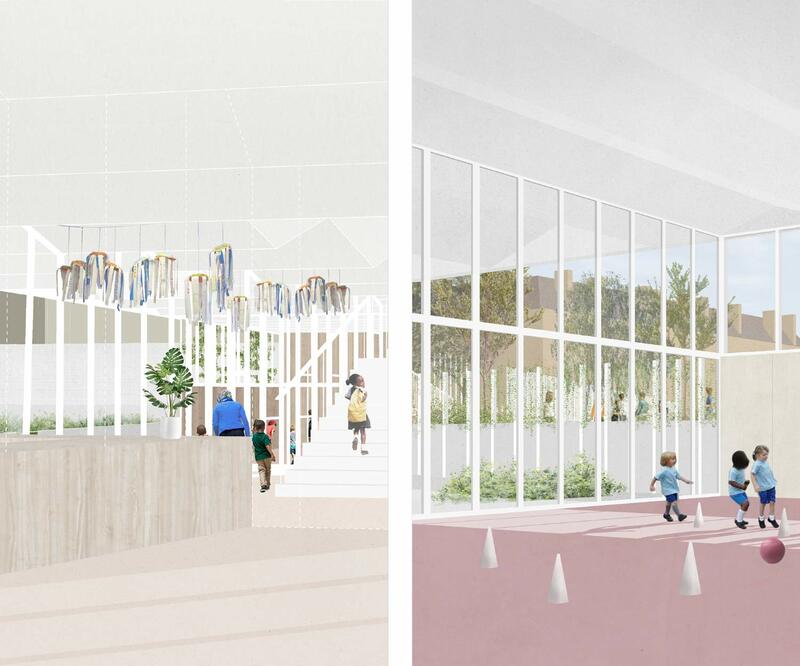 We considered how we could design spaces that would best facilitate the school’s educational objectives: a school that would feel like a good place to be and a good place to learn: a place which could be identified with as being uniquely their school. The manifesto covered subjects such as pedagogy, nature, community and well-being: the definition of which defines the school’s ethos and community outlook. 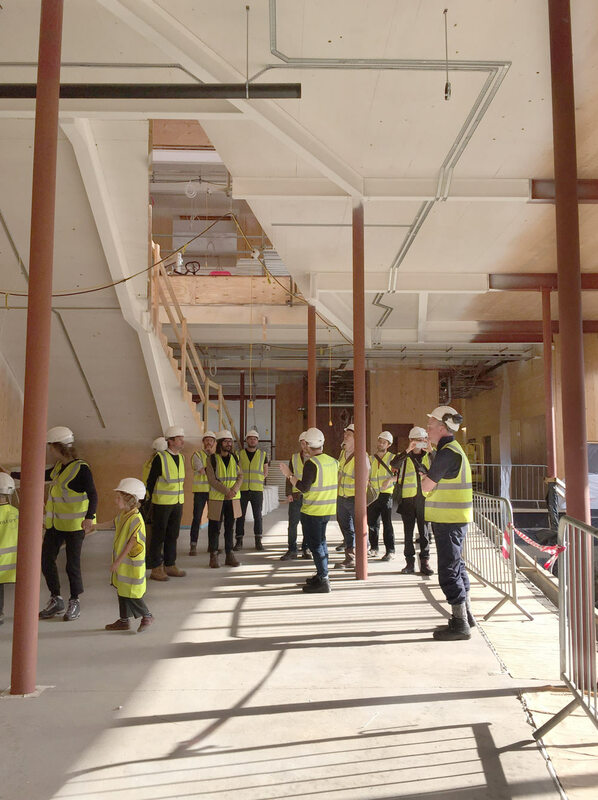 The school provides an essential form of social interaction for many parents and it was an important part of the brief that the new school building welcomed families in. 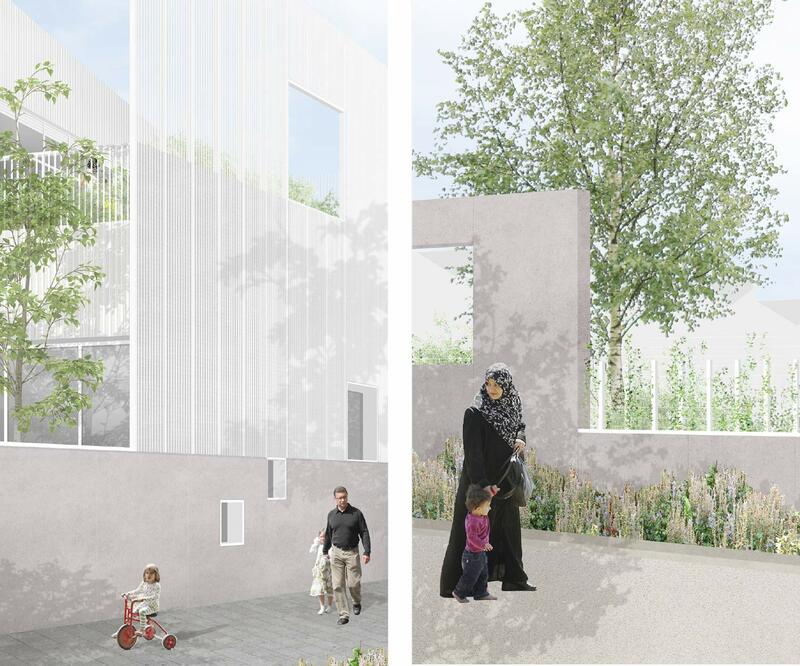 We developed the idea of a ‘family-scale’ courtyard: ‘an oasis’ in the centre of the school site that would welcome families into the heart of the school and provide access to the halls, a central gallery area and children’s centre. 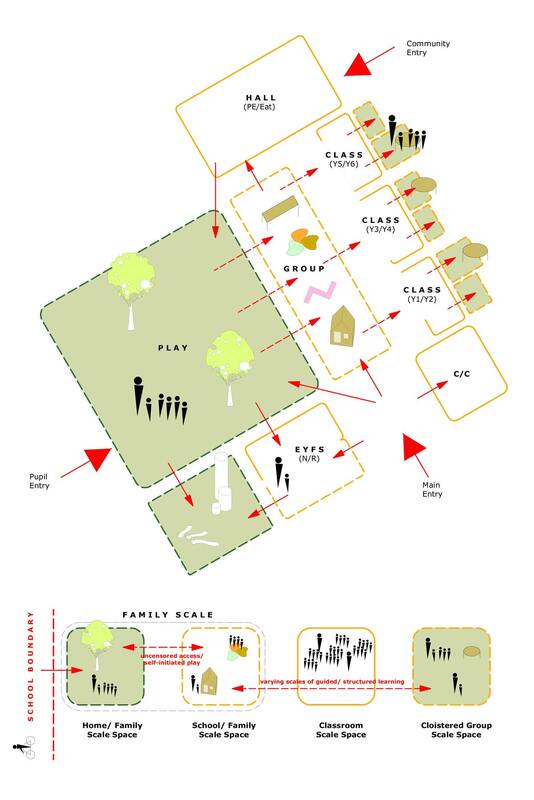 The courtyard provides access to all year-group spaces and avoids parents having to drop-off and pick-up siblings in different year groups in different locations or playgrounds around the school site. 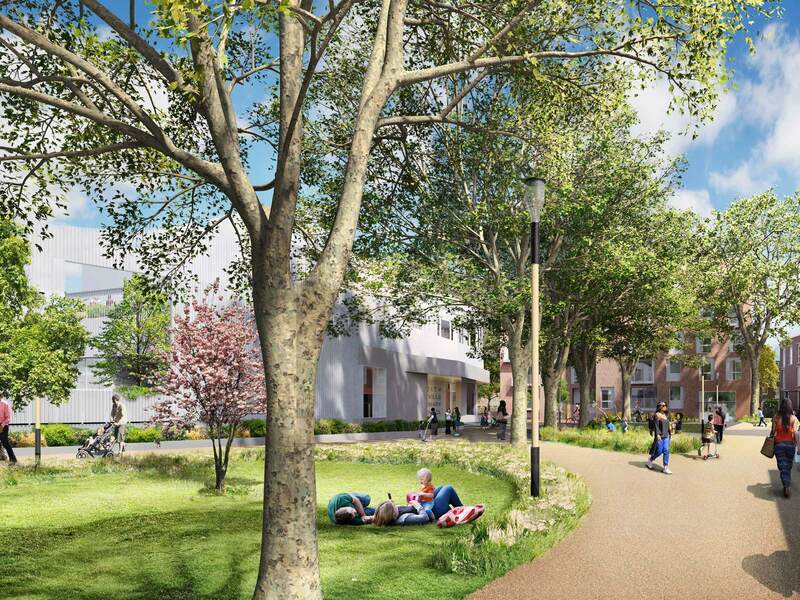 The design for Edith Neville is drawn from its landscape setting and as an extension to the adjacent park. 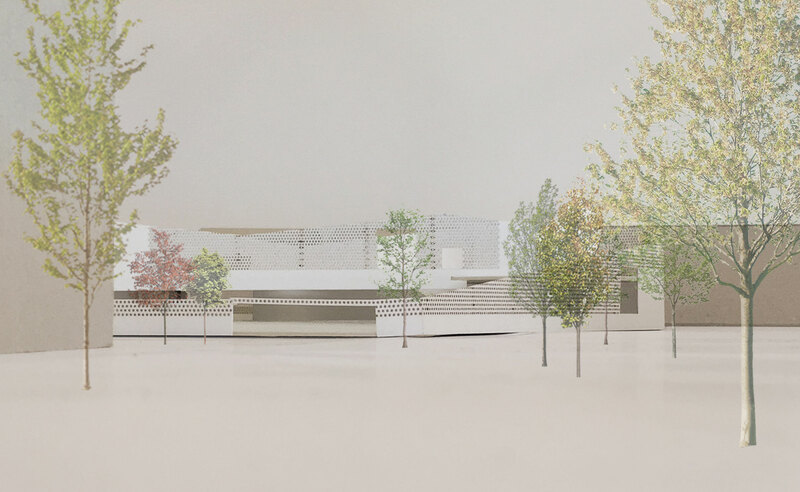 The use of a white finish allows the landscape in front of the building to be showcased with the design of the school acting as a backdrop to the surrounding landscape. 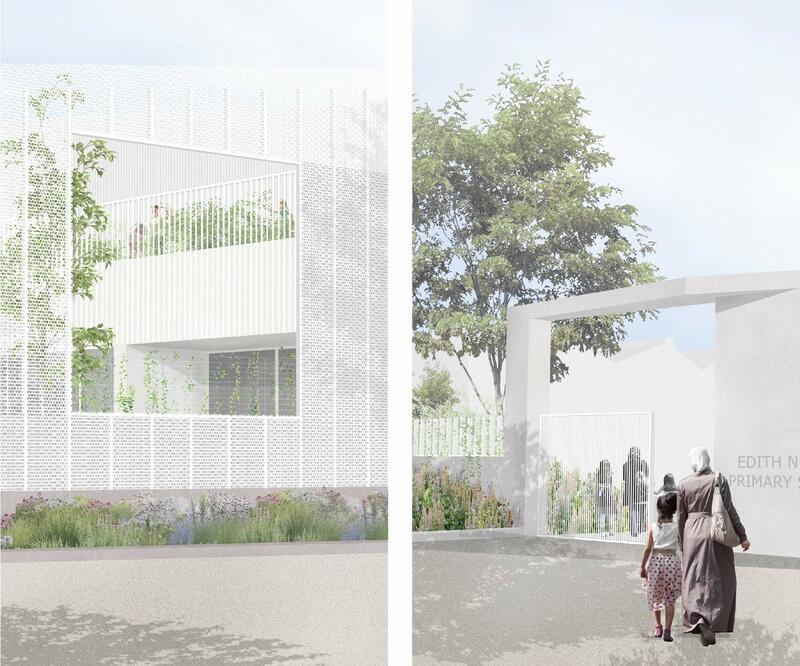 The school’s boundary is conceived as a filigree envelope formed from a perforated screen that provides both a sense of protection to the pupils inside the school as well as a sense of visual permeability across the park from the outside. 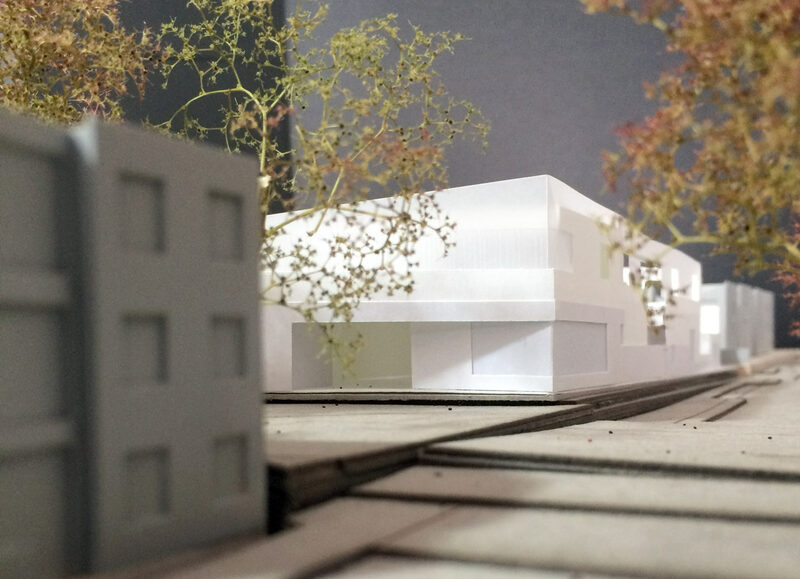 A design that acts as an extension to the park: both physically and perceptively. 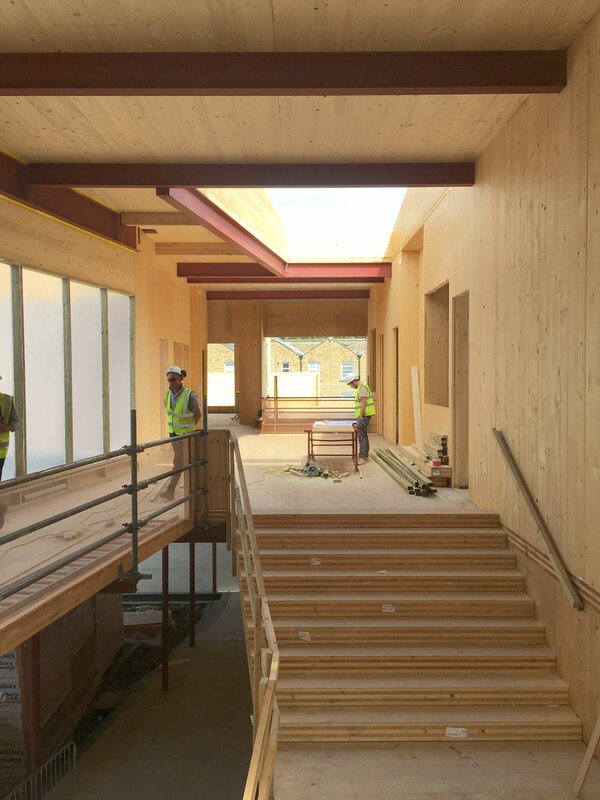 Inside the school’s boundary, the spaces are planned around promoting inclusive external play and as a set of inside and outside spaces that could enrich pupil’s health and wellbeing as well as the formal curriculum. 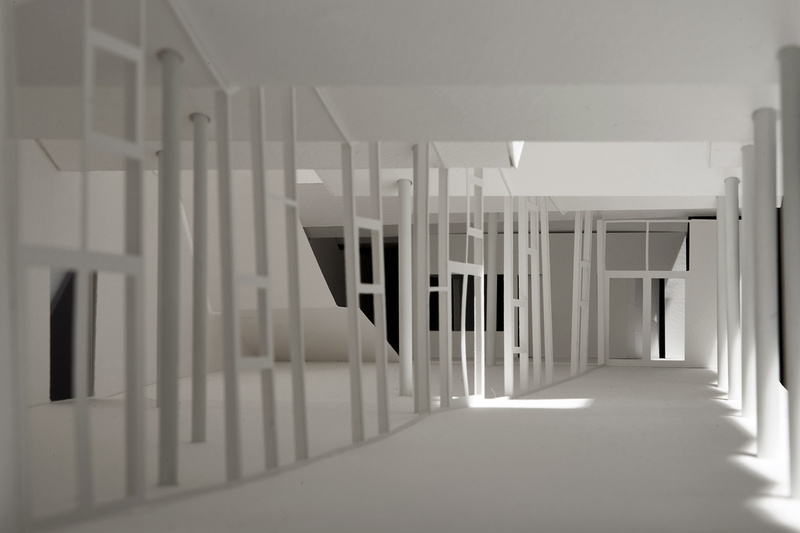 The design includes an external learning environment adjacent to every classroom and a series of internal and external break-out spaces that provide different scales of space for different forms of teaching and learning. 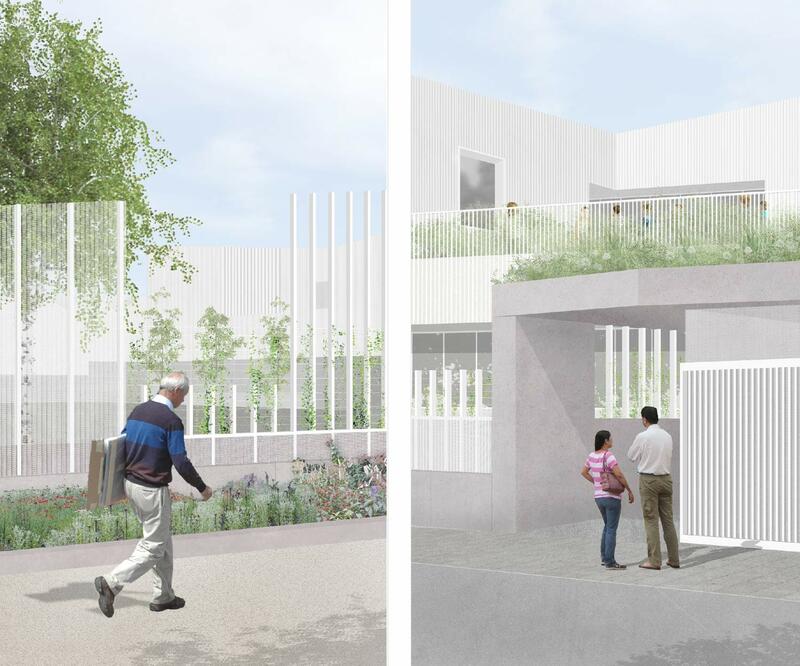 Openings in the elevation are strategically located to provide a series of long and short views from inside the school through to key axial views through parkland and into the adjacent street pattern, providing a landscape quality to the internal spaces. 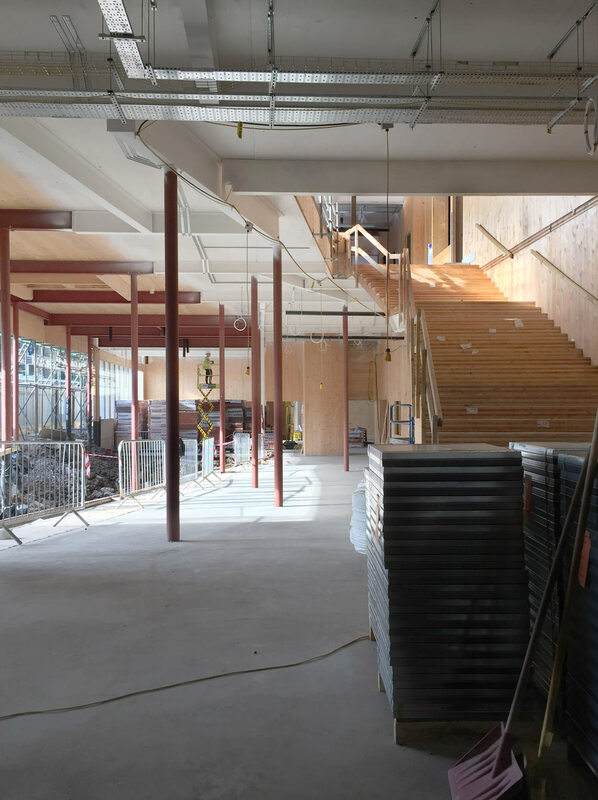 The school has few corridors or spaces that are only used for circulation – almost all spaces are doubled up with other functions. 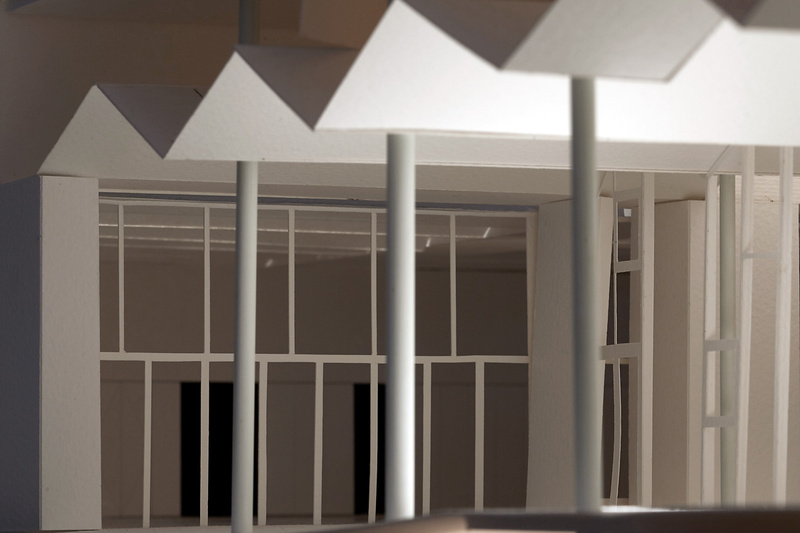 The main circulation between the front entrance and the hall is deliberately widened to become a gallery where pupil’s large-scale art work can be hung: this space has full-height glazing onto the family-scale courtyard that provides further opportunities to bring parents into the heart of the school. 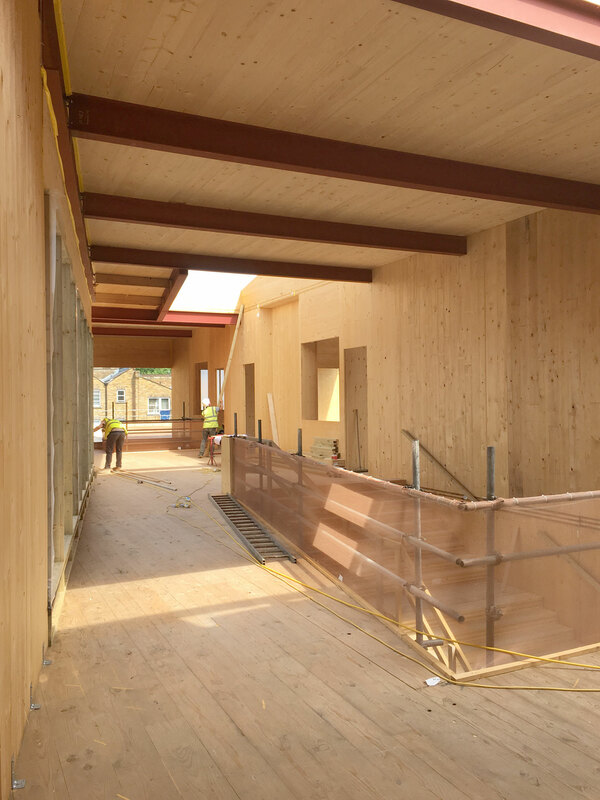 Equally, each of the classrooms has its own storage and service wall that features a ‘shopfront’ to the internal circulation areas allowing each class group the opportunity to form their own ‘display’ to the rest of the school community.